In what will mark the greatest fight of the 21st century, Floyd Mayweather is currently preparing to fight long-time rival Manny Pacquiao on May 2nd. Like always, Mayweather has been extremely diligent during training. And like always, he’s been flashing his bling and his cash around. n fact, a few days ago, Mayweather dropped this video bomb on the internet, showcasing his incredible fleet of cars. Some may wonder… how can this guy afford all of this? Well, for those of you that know Money Mayweather, you know that money ain’t never a thang for the boxing superstar. Actually, it’s about to be even less of a thang after his fight with Pacquiao, a fight that is reportedly about to earn him over $100 million for a night’s work! Check out the Mayweather garage below and let us know who you think will win the May 2nd bout in our 4wheelonline poll! 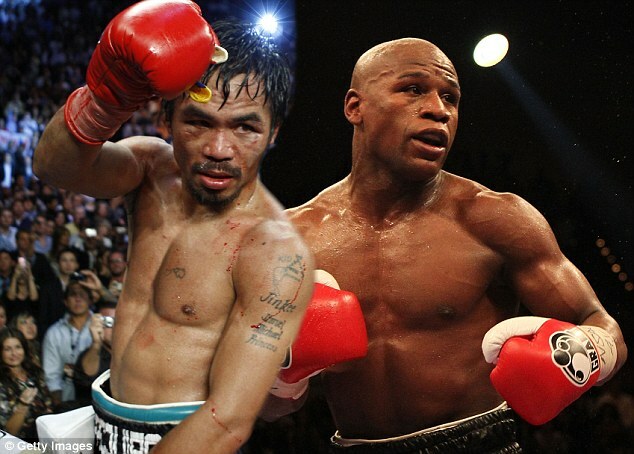 This entry was posted in Video and tagged cars, fight, Floyd Mayweather, manny pacquiao. Bookmark the permalink.